Beat the summer heat in West Palm Beach by cooling down with a scoop—or roll—of ice cream from one of these local favorites. 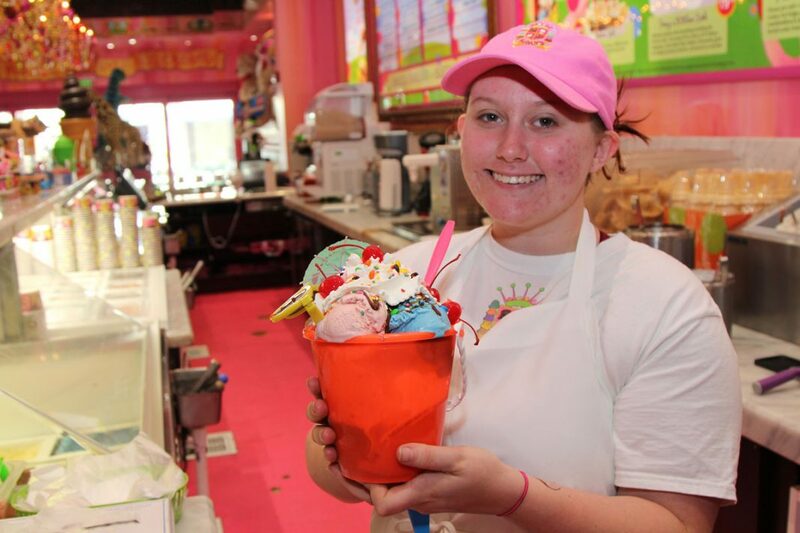 These hot summer days in West Palm Beach are ideal for ice cream. Whether it’s regal vanilla, the mayhem of a scoop of blueberry with buttermilk, chocolate-clad popbars, or homemade unique flavors, there are prime locations to try a few trendy ice creams. Read on for where to go for the city’s best scoops. One of the main attractions at West Palm Beach’s newest hotspot, Grandview Public Market, Crema brings the exotic concept of Thai hand-rolled ice cream right here to South Florida. There’s almost always a line, but watching the ice cream take shape during the rolling process is part of the fun. Choose your base flavor and customize it with funky add-ins like Cap’n Crunch, wafers, fruit, Nutella, or even activated charcoal. One bite and this creative spin on ice cream will quickly become a dessert you crave. Want to pay half price? Head to Crema during happy hour (2 p.m. to 5 p.m., Monday through Friday). Now an international chain, Sloan’s traces its roots to West Palm Beach circa 1999 and today enjoys the status of a South Florida classic. You really can’t call yourself a West Palm Beacher if you’ve never made a stop at Sloan’s! There are two Sloan’s locations in West Palm Beach: near the waterfront on Clematis Street and at CityPlace. With a huge variety of ice cream flavors, sundaes, milkshakes, and much more, the sugar rush is great, but the over-the-top decor is perhaps the biggest selling point of Sloan’s. Look around for trains, chandeliers, candy, and gifts galore—and don’t miss the magical “windowed” bathrooms! Sandcastle Sunday at Sloan’s in CityPlace. This is a real beach sand pail and shovel filled with 5 scoops of ice cream, hot fudge, caramel, wet walnuts, any 2 dry toppings and a chocolate chip cookie on the bottom with lots of whipped cream and cherries. / Photo: WPB Magazine. 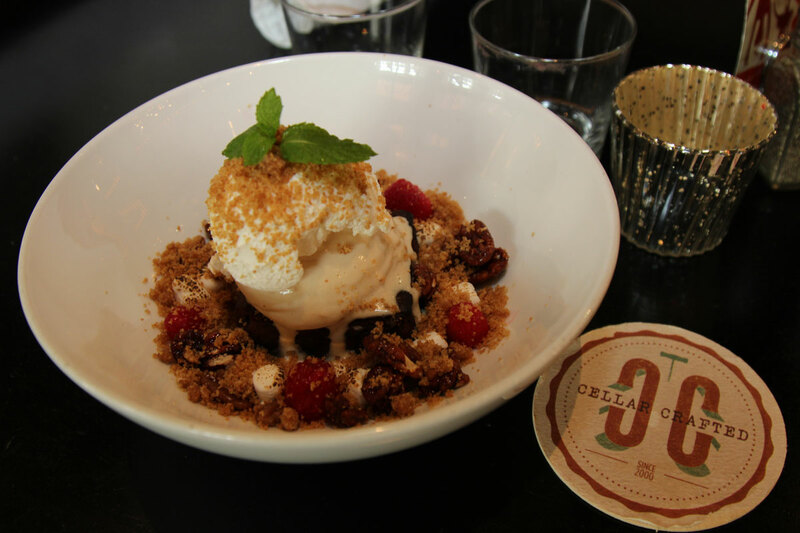 Cellar Sundae at City Cellar in CityPlace includes Flourless Valrhona Chocolate Brownie, Roasted Marshmallows, Graham Cracker Crumble, and Candied Pecans. / Photo: WPB Magazine. A popular spot for self-serve frozen yogurt with a plethora of toppings to choose from, Tutti Frutti never fails to provide a dessert that satisfies. This CityPlace staple gives you the chance to choose a base flavor (or five) then pile on toppings like gummies, candy, nuts, sprinkles, cookies, fruit, and more. Simply weigh your customized final product and pay per ounce. Are you a Tutti Frutti fan? 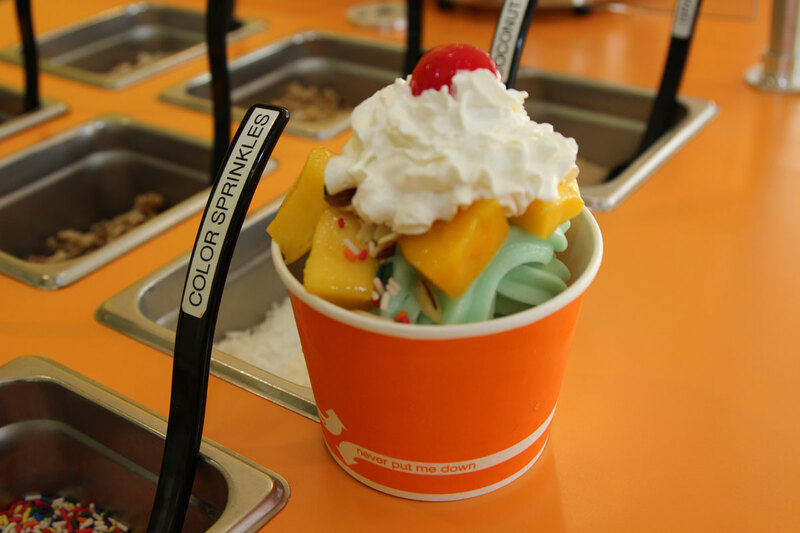 You will love this combination of yogurt and fresh mango at the Tutti Frutti location in CityPlace. / Photo: WPB Magazine. The old-timey Carvel location on South Dixie Highway is an easily recognizable landmark: the tiny, retro shop features funky 1950s architecture and is flanked by not one but two sculptures of gigantic vanilla soft serve cones towering overhead. West Palm Beach’s original Carvel is an especially fun spot to bike or ride to from downtown. With outdoor seating only, it’s a great pitstop for soaking up the sun, indulging in a bit of nostalgia, and gobbling down your cone before it melts. For the 7-year-old inside you, Carvel’s soft-serve ice cream on 5901 S Dixie Hwy is the place to go. 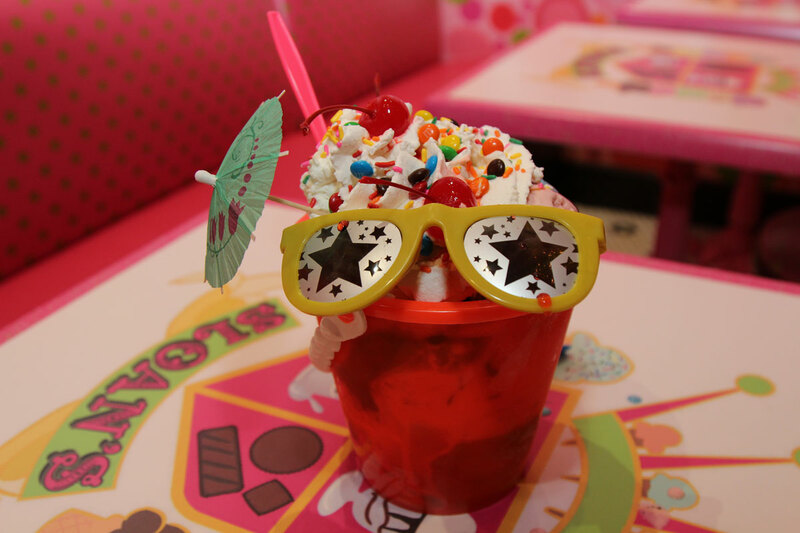 Besides the traditional soft serves, they also have scooped hard ice creams, sundaes, shakes, and flying saucers. / Photo: WPB Magazine. 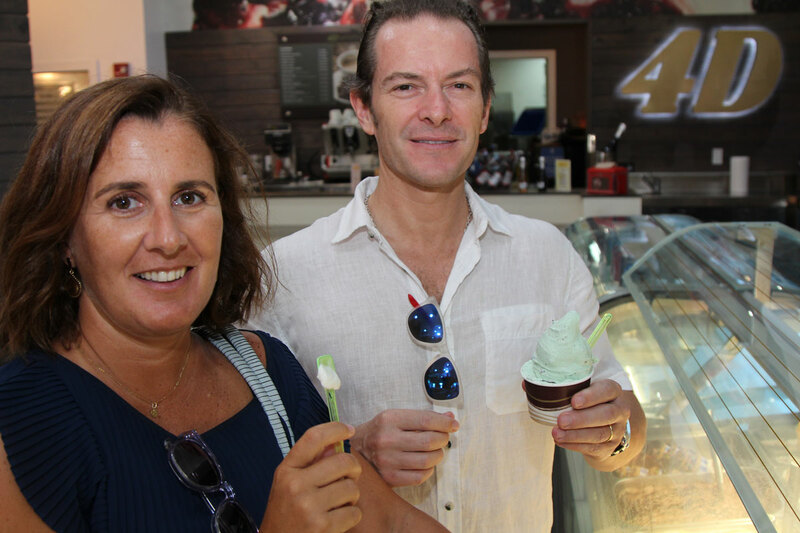 Another go-to for a sweet treat at CityPlace, 4D serves up consistent deliciousness in the form of classic Italian gelato flavors like stracciatella, bacio, and fior di latte. It’s a bit pricey, but this high-quality gelato does make for a rich and flavorful indulgence. Grab a cup and head outside to enjoy people-watching amidst the lively atmosphere of CityPlace. Customer enjoying a refreshing, delicious homemade Italian gelato at 4D Gelateria & Italian Gourmet in CityPlace. / Photo: WPB Magazine. Okay, so Pipeline Poké Co doesn’t sell ice cream. But they do sell the cute Japanese frozen rice cake we know as mochi, and some days, chowing down on a bite-sized mochi is exactly what will hit the sweet-tooth spot. For just $2 a pop, you can’t go wrong. Stop in for a mochi from Pipeline Poké Co. and choose between flavors like mango, green tea, chocolate coconut, strawberry, passion fruit, and more—or try a few. 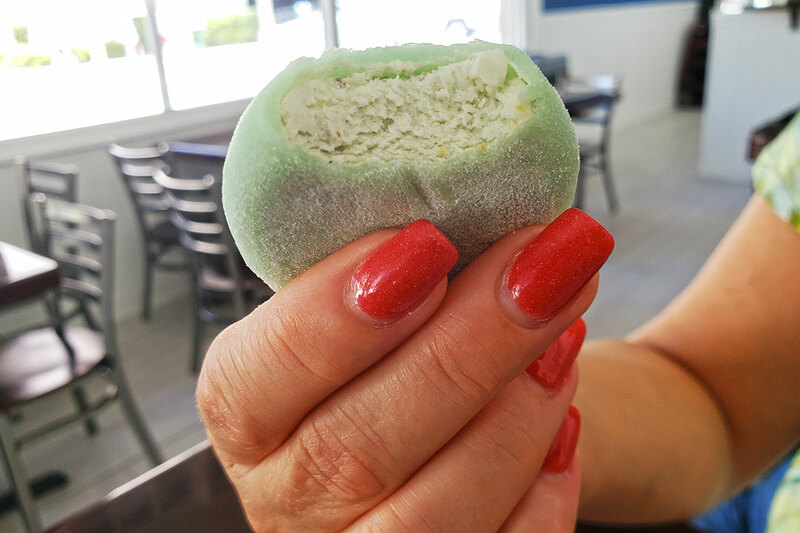 Mochi ice cream at Pipeline Poké Co in Downtown West Palm Beach. / Photo: WPB Magazine. It seems there’s never a bad time for ice cream. Thankfully as you see, there are plenty of choices around West Palm Beach to satisfy your craving for something cold, creamy and delicious this summer!